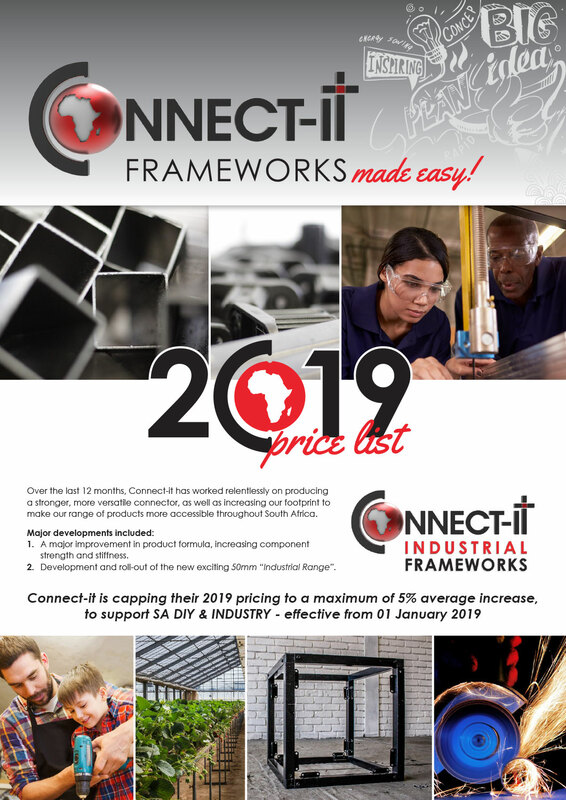 to support SA DIY & INDUSTRY - effective from 01 January 2019. 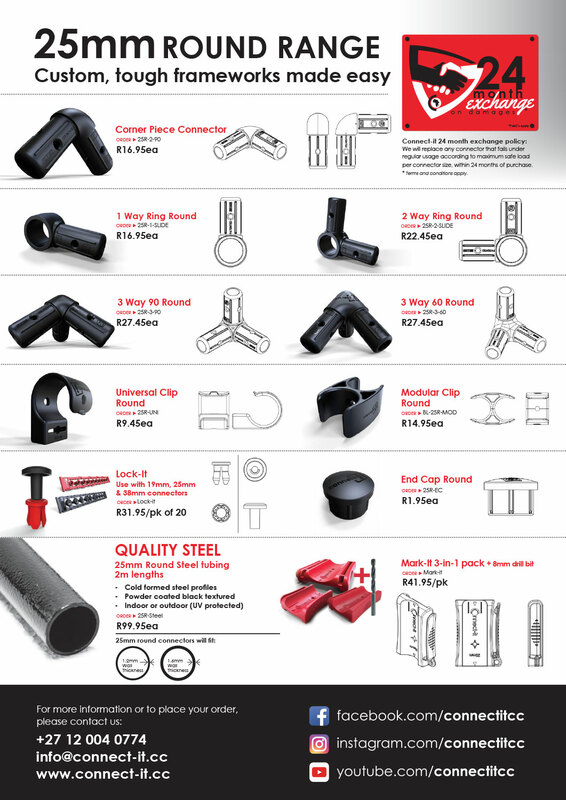 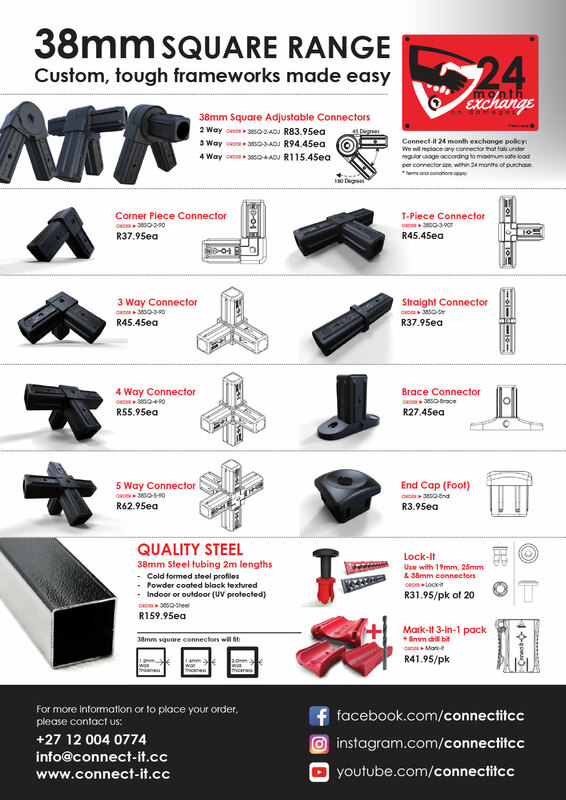 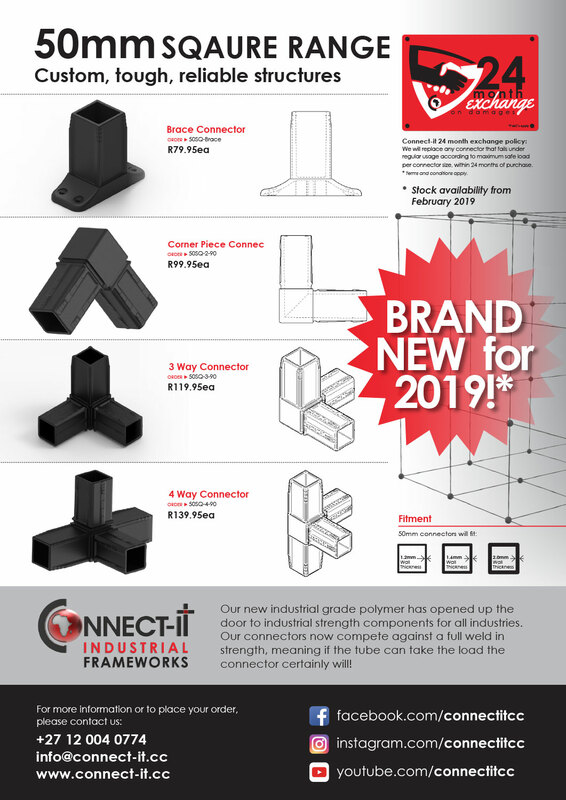 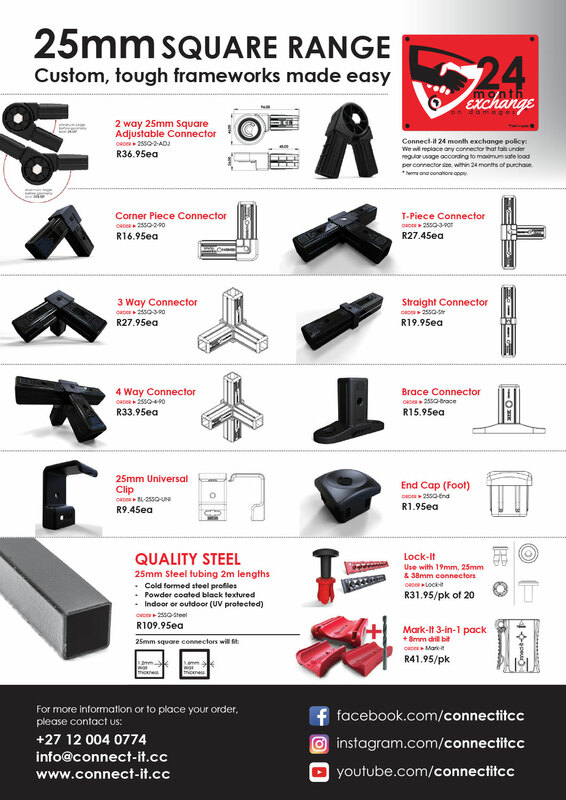 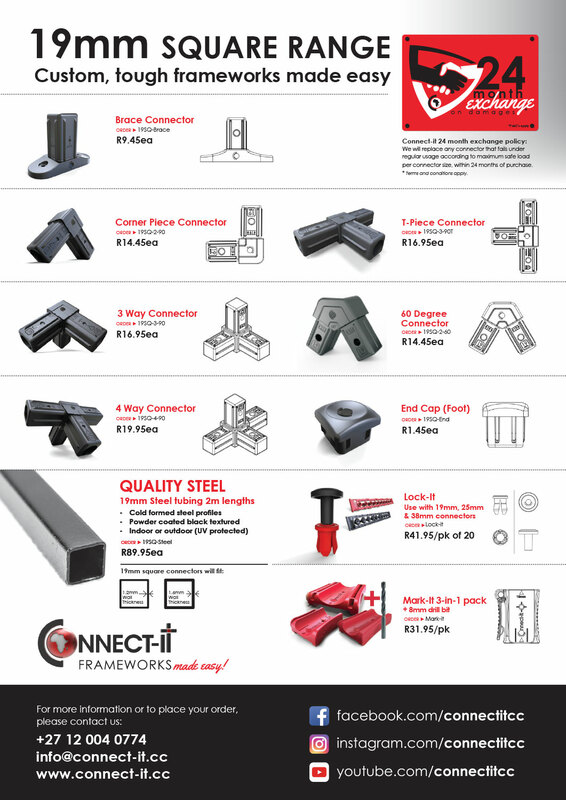 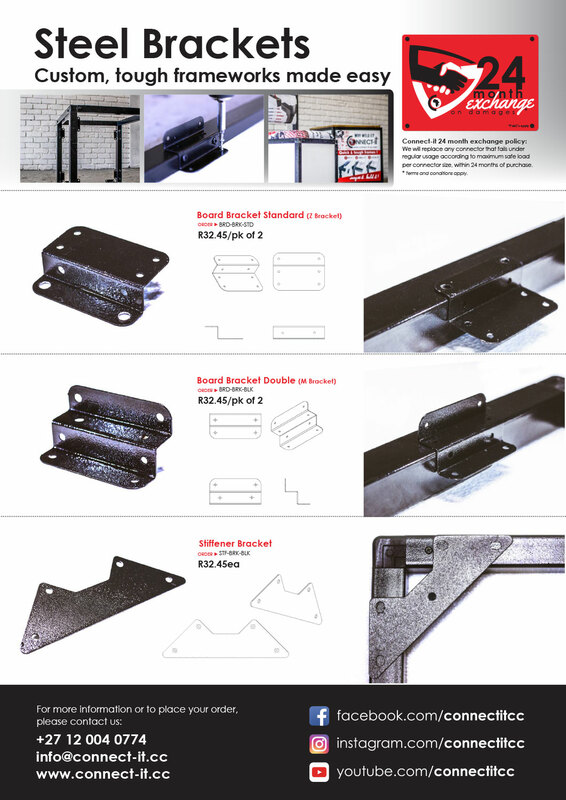 Over the last 12 months, Connect-it has worked relentlessly on producing a stronger, more versatile connector, as well as increasing our footprint to make our range of products more accessible throughout South Africa. 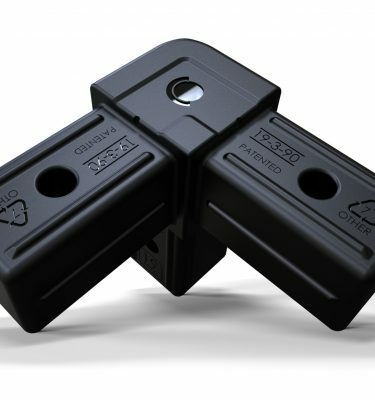 A vast improvement in product formula, increasing component strength and stiffness through the use of hi-tech polymers. 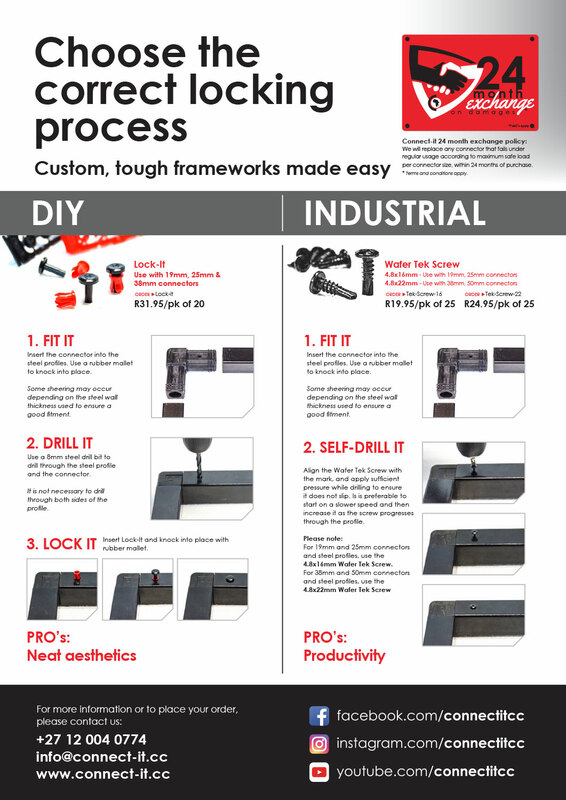 Development and roll-out of the new exciting 50mm “Industrial Range”.